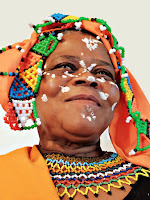 I took the photo last week of a woman in (neo) Xhosa dress -- dressed for Church. The Xhosa people are about 8 million strong (compare about 3 million Welsh). They are found throughout the southern and central-southern parts of South Africa, and are closely related to the Zulus to the north. During the 1800s there was a "wave of warfare and disruption" which scattered various tribes of Southern Africa. 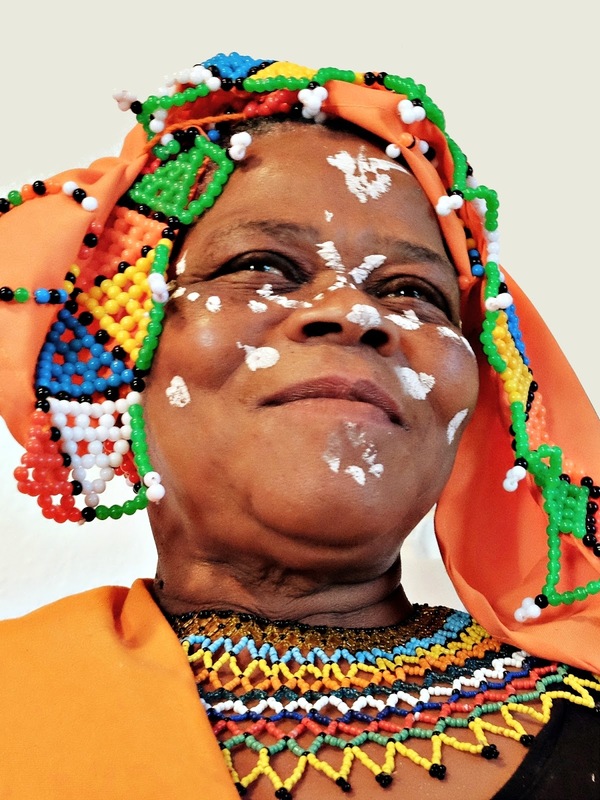 The Xhosa nation received the "wanderers" and integrated them. At the same time, the British colonisers pushed the Xhosa east. Today, about 100 000 Capetonians speak Xhosa as their first language. My wife is of Xhosa origin.